National organisation the Milestone Society recently secured funding to restore and renovate six historic mileposts on the Stratford upon Avon to Long Compton Turnpike. Foundry Wood is a managed access community woodland. 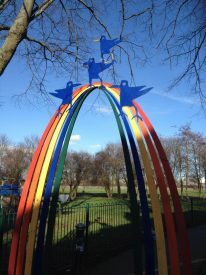 Through volunteer work parties we have made the site accessible by creating paths and facilities for all to use. Now the woodland is open most days for you to enjoy this unique natural environment. The Friends of Anti-Aircraft Battery at Goodrest Farm (or FAAB@GRF for short!) 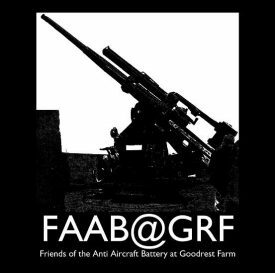 is a group of volunteers who aim to develop the Anti-Aircraft Battery at Goodrest Farm as a historical and education resource for all. FAAB@GRF is an independent volunteer group, working in partnership with Leek Wootton History Group.